Over the course of many years of reading and learning about finances through the LIFE business, it is clear that those who embark upon self-development tend to have better outcomes in life to those who just go with the flow of what the world has to offer. This is why there is a lot of talk about Personal Development which has become a billion dollar industry. No matter where you are in life, personal development is a lifelong journey. No matter what your age or background is, you cannot afford to stop learning. This is the reason why you see people continually seeking ways to improve and do better with their lives. Although there are many aspects of personal development, I want to focus on personal financial education and development. One thing I learned over the years is that if you keep doing what you have always done, you will keep getting what you always got. This applies to everything in life anywhere from your health and relationships to your wealth and finances. So what is Personal Financial Development? It is you embarking on a journey of financial discovery. It starts with you understanding your relationship with money. How it has impacted your life to date and what areas need improvement. Let’s take a look at two basic questions before going further with this topic. What is your financial status? Are you in a job, work for yourself, job seeker or generally unemployed. How would you describe your financial life? Is your income stable or unstable? Do you live by a budget? Are you currently planning your future? Do your financial priorities dictate your life? Do you know where your money goes or does it free-flow through your life? Ponder these questions as we take a look at how you can embark upon your personal financial development. There are several sources to learn from. 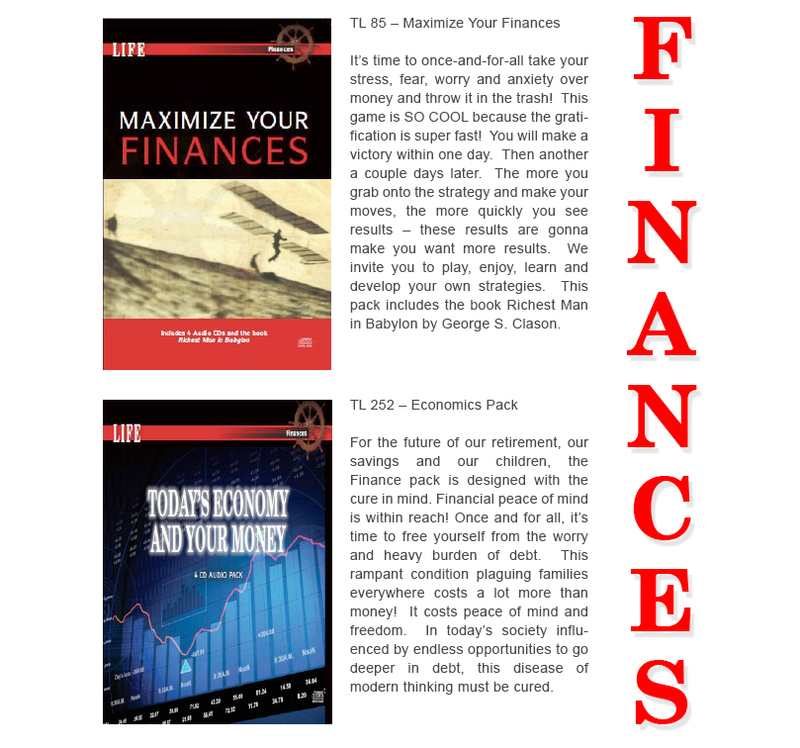 If you are struggling in your finances, start by educating yourself on the basics of money and finances. Personally, I prefer to take advice and educate myself from individuals and sources that have proven results. There are always going to be people who try to impress others with their knowledge and offer free advice. Orrin Woodward once said, “Be careful who you take advice from because they may be broke”. I can proudly say that the information I have learned from LIFE and all the amazing business savvy individuals I have met, has truly made a difference in my financial life. I highly recommend taking the time to look at some of the material that LIFE has to offer. This information has helped countless people get their finances right, get out of debt and live better lives. It has taken some people a number of years to develop their financial skills but it is a journey well worth taking and can change both your short and long term security and success. To paraphraze a passage from a great book, “The Slight Edge”, it’s the little things you do over time that make the biggest impact. So start your personal financial journey today and in years to come you will be grateful that you did.